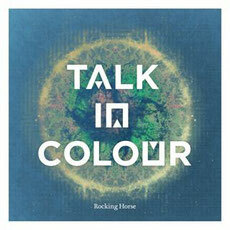 London quintet Talk In Colour is to release their second single ‘Rocking Horse’ in April from forthcoming debut album ‘ColliderScope’. The track is a glitchy, throbbing affair, alternating between the restrained and explosive. With swirling vocals anchored by a brooding bassline, the track explores ideas of place and belonging - seeking security in familiar spaces whilst simultaneously feeling trapped by them. The track receives the remix treatment courtesy of Milo Fitzpatrick from Mercury Award nominees Portico Quartet, Belleruche’s Ricky Fabulous and acclaimed post-dubstep producer Microburst (forthcoming release ‘Clutch’ due on Svetlana Industries) as well as newcomer Magenta Disco. ‘ColliderScope’ is due for release 28th May 2012 and first single ‘Nightshifts’, released as a free download in autumn 2011, gained considerable attention after its inclusion in the trailer and soundtrack of award-winning British feature film Junkhearts, which premiered at the BFI London Film Festival 2011. The Microburst remix of ‘Nightshifts’ was voted track of the day on music blogs The Line of Best Fit and XLR8R, and was played by Rob Da Bank on BBC Radio 1. 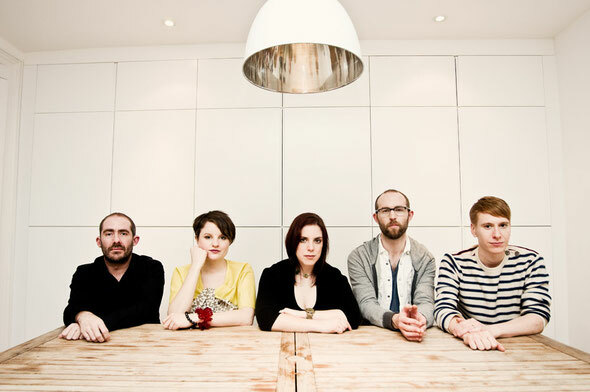 ‘ColliderScope’ as a whole showcases a band comfortable setting its own musical agenda. At times dark then uplifting, their music slips effortlessly between pure instrumentals and vocal driven tracks, bridging the gap between the electronica of early DJ Shadow and the poetic song writing of Joni Mitchell. Together, Talk In Colour combine intricate and detailed soundscapes with a strong ear for melody, putting the digital heart of electronic music into the living body of live instrumentation.